About five years ago I launched new process that could help brands and companies to break out of their stand still and also help me in creating the right climate for change in the projects I work with. I call this process The Ronnestam Prototyping Process. 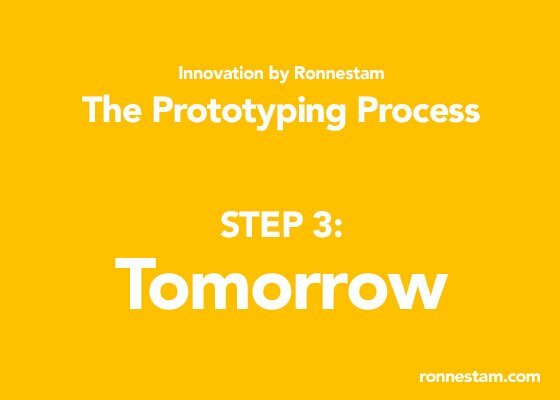 The Ronnestam Prototyping Process is based on a combination of my own 20 years of experience of working with some of the most known brands of the world merged with ideas from leading innovators such as Hartmut Esslinger (the brain behind Frog Design), Yves Béhar and Dieter Rams and the way the car industry historically have been working with prototypes and innovation. The car industry that have been working with prototypes for more than 50 years. These prototypes are not only meant to make people go wow. They’re in fact used to show the future direction of the car brand thus also align all expectations from media, customers, staff and partners in one direction. One of the most important thing is to make people look towards the future instead of looking back at history. The BMW Efficient Engineering concept prototype showcased in Frankfurt 2009. 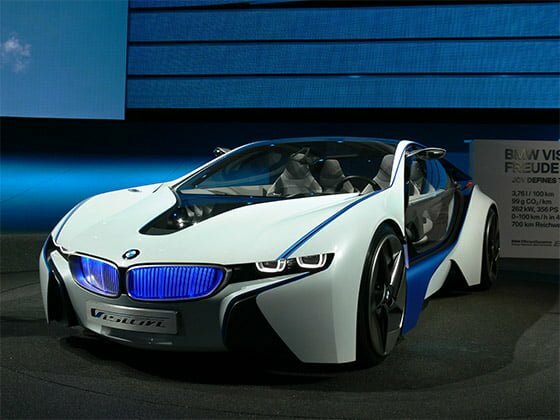 In 2014 the BWM i8 has taken large parts of this concept into production. 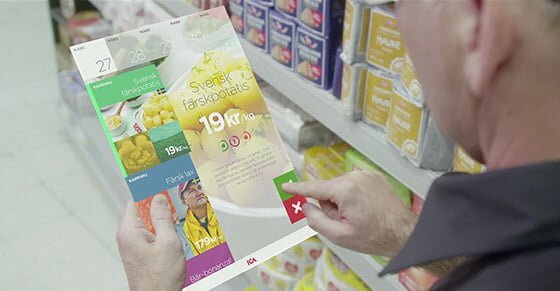 Five years have passed and I’ve delivered six prototypes containing strategic and tactical recommendations for four of Sweden’s largest brands (Svenska Spel & ICA among others) and two of the worlds largest brands (Danone among others). Until now these projects has been hidden in the dark due to the fact that these brands have chosen to keep these projects secret. However, the projects have been successfully implemented and lead to dramatic changes in terms of how the companies have prioritized their budgets and future plans. Now I’m pleased to be able to give you insight into the process itself and one of these projects, due to the fact that ICA, one of the brands I’ve worked with, have decided to follow my recommendation and let the prototype out in the open. In this way ICA tell people, both employees, partners and customers, about their ideas and goals – and by doing this they put more pressure on actually delivering the visions we’ve created together. First. 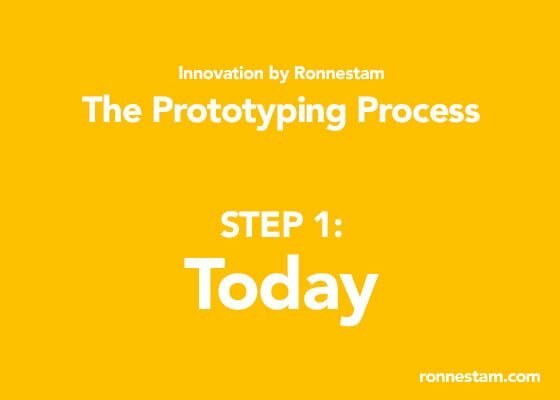 Let go through The Ronnestam Prototyping Process. 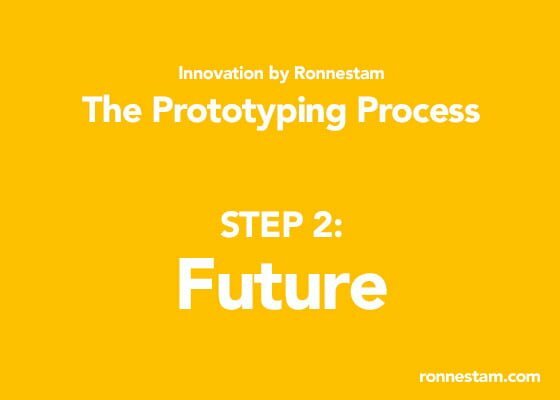 The idea with The Prototyping Process is to focus on serving peoples existing needs as well as caring for their future desires while taking tomorrows technologies into account. The Prototyping Process can be used for innovation, business and brand development. What’s different to other business development processes? The big difference compared to most existing models is the FUTURE phase in this process. This is the part that enables people within an organization to actually take part in the innovation and thereby understand the future needs of the brand. By passing this step in the process you get a future focused development process. Suddenly ‘nay-sayers’ become ‘yeah-sayers’. By changing focus to the future it’s easier for employees to look forward and accept new ideas and new technologies. After all it’s just a fantasy. The magic however happens when we’ve gone through the FUTURE phase and then head back to TOMORROW and ask how we can start moving forward. Suddenly those ‘nay-sayers’ have creative ideas on how to change things. A unanimous idea of the future – The most important thing. The most important thing however is the unanimous idea of how the future looks. Most companies and brands today suffer from innovation fatigue. What I mean with this is the fact that there’s so many new ideas on the market, so many new opportunities and threats and so many new technologies so brands don’t know where to start. If you ask ten people within a company you’ll get ten different ideas of what the company should invest time and money in. Even worse is the fact that companies tend to invest in many small initiatives without any overall focus. Often these initiatives are way ahead of the existing behavior and they fail as a result of this. The solution is to base your business and brand development on a future based on insights directly related to the challenges your own brand is facing. This future must realistic and based on strategic, cultural and behavioral insights. It’s extremely important that the vision of the future is not a sci-fi vision. Anyone can come up with flying cars and 3D printed food. The objective is to create a futuristic vision people can believe in, a vision that feels realistic and a vision that both the board of directors, managers, employees, partners, clients and prospects can understand. The better you visualize this future the more aligned your innovation work based on this vision will be. Let me share a case – Moving ICA into the future. 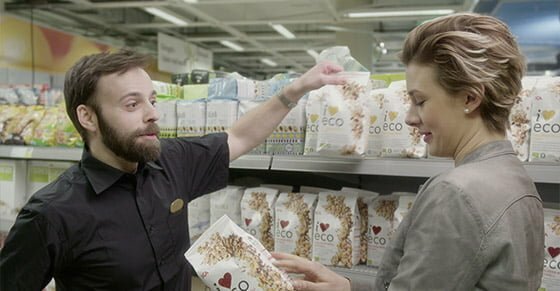 Let me tell you how it works and also exemplify it with one of my latest deliveries for one of Sweden’s most known retail brands – ICA. 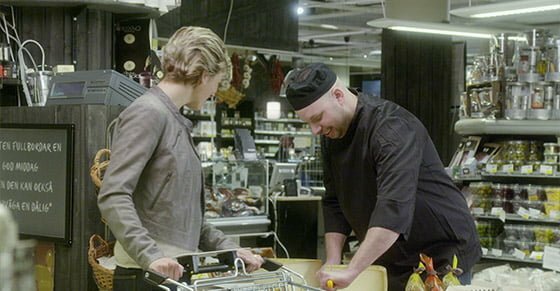 With 2,400 of its own and retailer-owned stores in five geographic markets, ICA Gruppen is one of the Nordic region’s leading retailers where grocery is the core business. 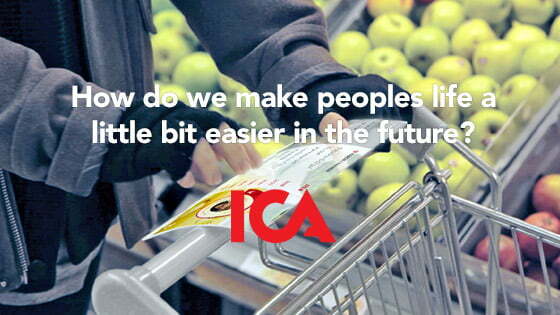 ICA approached me sometime in the middle of 2012 with a challenge. They asked me if I could guide them in the process of finding out what “Next Generation Marketing” meant for them and how the could continue build a world class brand that delivered on their vision – To make every day a little easier. Let me stress that the purpose with this prototype is to deliver on ICAs specific needs from a strategic perspective, not to create a futuristic vision that showcases what we can come up with or fantasize about. The first step in Prototyping is to make sure you’ve got the business of today wired. When I start a project I carefully plan a selection of activities that are supposed to give me a clear picture of today. I need a good understanding of the existing business, the product and services, the organization that makes it all happen, existing use of technology, challenges within the company, brand status, marketing activities and a lot more. In order to understand it all we plan a selection of activites that are unique from time to time. Interview all the stakeholders within the company as well as potential partners. In this activity it is very important to make sure you talk to the board of director as well as the manager team. It is also very important to identify the people within the organisation that can become showstoppers. This can be existing managers but most organisations also have cultural showstoppers, meaning there’s lots of people within a company that have a lot of power give to them not by managers but by their co-workers, partners or even clients. Without their point of view your up for disaster when trying to innovate a brand. Perform workshops in order to align the competences within the company as well as to create a common understanding for the project and the consequences of the prototype. Within ICA we performed workshops with a two month interval during 1 year. Often more than 40 people participated in these workshops. They we’re key to making people buy into the project. Analysing data to get insights on the current business and brand. Both data that can be accessed by anyone such as industry data, technology behaviour, exclusive data supplied by the company themselves etc. Different kind of activites in order to get a deeper understanding of the current business. For example focus group studies with existing and potential customers. This is one of the more important parts of prototyping when heading toward the future. As we’re seeing how people become more and more digital we’ll also see how people will require a certain level of digitalisation from brands. If I use Facebook to keep in touch with my friends and family, I’ll also expect my bank to deliver the same quality of service. If I see marketing from Apple I’ll expect the same quality of product and the marketing of those products from other brands I love. A substitute is not merely a substitute on a product or service level. A substitute can just as well be something that changes our behaviour and expectations. In order to truly understand what people think about product and services we go beyond the typical qualitative and quantitative studies. Together with Anthropologists we perform Ethnographic studies in order to understand peoples true ideas, their driving forces and feelings related to the brand, their competitors and the role these brands play in peoples life. Companies who hope to create relevant and sought-after experiences in the future have to anticipate and act proactively in order to play a role in people´s lives. Future challenges – Gaps and opportunities and the people that can help you fill them. With these insights we go back to the client and present our findings. We talk about the current state of the brand and the business and where the future opportunities and threats lie. Based on this we define a shortlist of areas which we need to find out more about. When we’ve agreed on the areas we scout the industry for the best expertise and we prepare ourselves for Step 2 in the process – Understanding the FUTURE. Based on the findings in the first step of the process we recruit experts to something I call hearings. Hearings are basically meetings, in this specific case, dinners, where we lead discussions to get access to knowledge that these experts possess. The experts vary from project to project. We recruit these experts only based on the findings in the Today part of the process. Talking to other experts makes it easier to project future behavioural changes, it’s easier to identify future technology opportunities and challenges. What are the future threats, what product and services will have an impact on our day to day business. Who will be our future competition and substitutes. How will new technologies disrupt existing. Below you’ll find a summary of one of the hearings for ICA. In this hearing we spent an evening with Jerry Silfwer – Digital Communication Expert, Göran Adlen – Futurist, Sofia Svantesson – Founder & Design Strategist at Ocean Observations, Jacob Wismar – Chef & Creative, Niclas Svensson – Industrial Designer Visual ID and Jan Ytterborn – Architect. One of many hearings that created part of the foundation for our prototype. Once we’re done meeting experts in different areas we now have the information needed to create a visual prototype. We’ve talked to people within and outside the company. We’ve talked to experts. We’ve analysed data and on top of it all we’ve put our own heads around the future brand challenges. It’s now time to visualise the future. 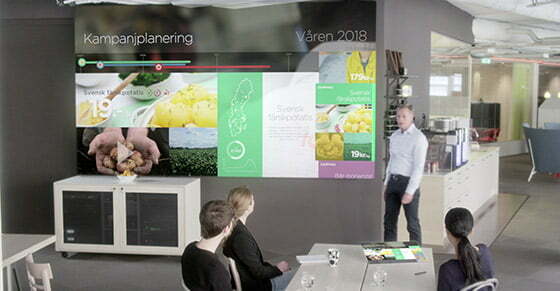 The most important part of visualising the future is the creation of the scenarios. This can be done in different ways. In some cases I bring experts onboard and we co-create the scenario in tools like Hackpad. In other cases, such as in the ICA case I write the scenario myself. The way I write these scenarios resembles the way a scriptwriter writes a movie. I think of a plot, different characters that represent the different target groups and then I write a long list of technologies, behaviors, gadgets and other components that the scenario needs to cover. Once that is done I simply create a story that shows how the target group (In the ICA case, both employees, customers, family members, kids and more) interacts with the brand and all other components that the prototype should cover. Once the scenarios has been created and approved we go through the story in detail in order to identify where the customer interacts with the brand. 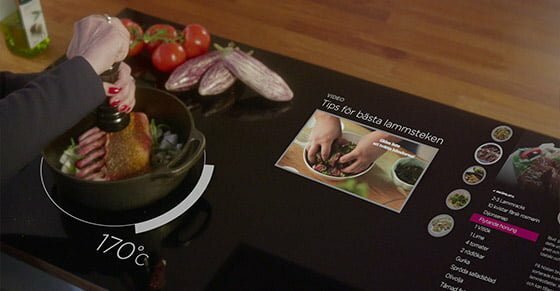 This can be bort interactions in terms of interfaces and advertising but also interaction with staff, physical objects, buildings, stores and more. In other words, the scenario creates the foundation for what needs to be visualised in the prototype. We list all these customer interaction points into a database and then we start looking for references. What products are there today that solves these problems, what news of future products solves these problems in the future? Trends, forecasts, research, students – the information is everywhere. We collect all the inspiration we can find and then we start building our own idea of a future that is relevant to our customer. One of the more important part in this process is of course the creative and art direction of the prototype. It’s extremely important that we create a prototype that is both visually striking, can be used as a guidance tool, differentiates us from other brands while not falling into the “sci-fi trap”. If we were to create something that our customer don’t believe in then the prototype will not create any momentum. When I start to create the prototype I begin with a holistic approach. I more or less strive to create a “brand OS”. With this I mean that I’m not bothering about details in the beginning. 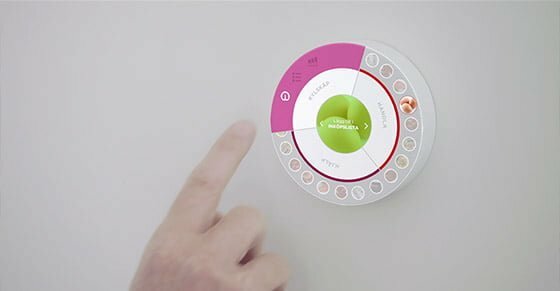 It’s more important to find a tone of voice and design that can be used for both interior decoration, architecture, digital interfaces, advertising campaigns, photography, events, POS material, packaging and even fashion. Once I’m pleased with the direction I’m trying it out by creating a large set of objects. Websites, ads, apps, buildings, POS material and more. This is also the time when we expand the team. We bring in designers, in this case I worked closely with Daniel Stridsberg from Britny. Once I’ve outlined the creative direction and the design, Daniel digs into details and we bounce ideas back and fourth. Slowly we’re building that future brand universe that creates the foundation for the prototype. The time has come to bring this future brand universe to life. In order for as many people as possible to understand the prototype we use video. 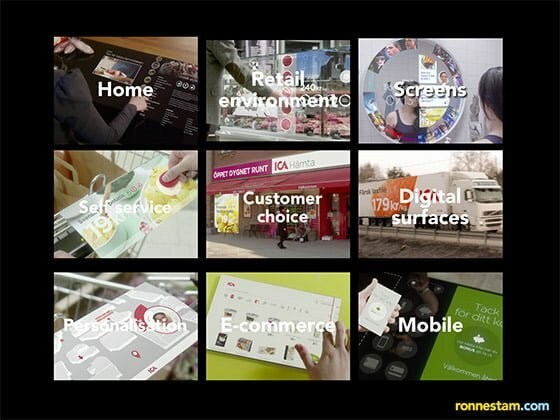 By creating a film we’re making it easier for the brand to spread their idea about the future. 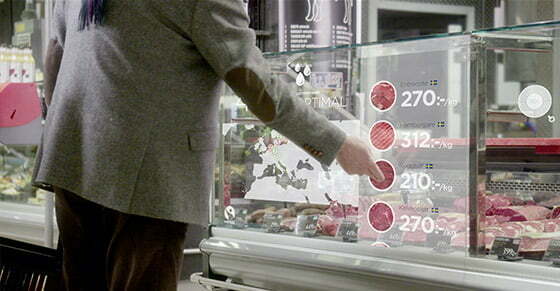 A moving prototype can be used for education, PR, strategy, consumer relations and more. It becomes a tool that resembles that Prototyped Car that I talked about in the beginning of this post. By using a combination of film, 3D, retouch, and motion capture we’re creating a vision of the future feels realistic and possible. It doesn’t matter what role you have in the organisation, it’s easy for anyone to understand where we’re heading. 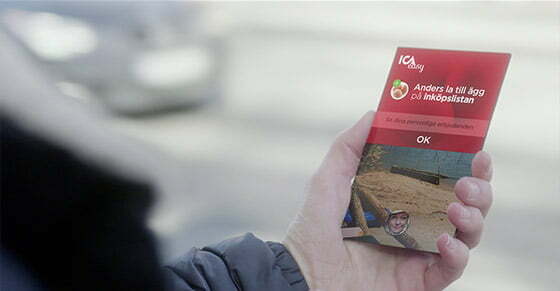 This is the prototype we created for ICA. A selection of the components of the prototype. 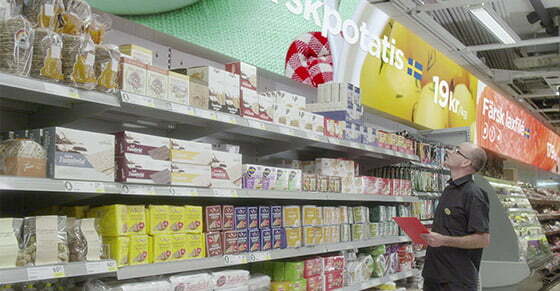 Campaign planning seamlessly connected to the media channels and in-store advertising. The store manager planning his day. Campaign plan involvement to enable local optimisation. …instantly affects the in-store POS systems. 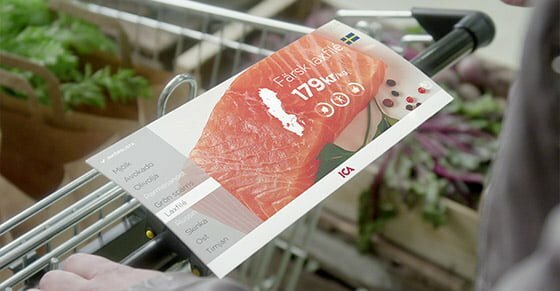 Physical/Digital modules enabling families to socially plan and shop. 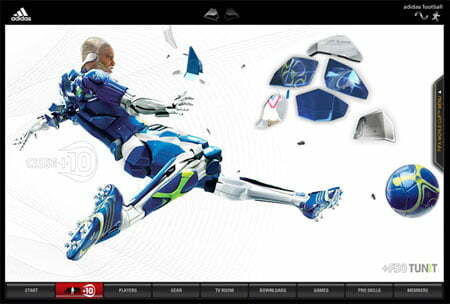 Personalisation on screen inside stores. 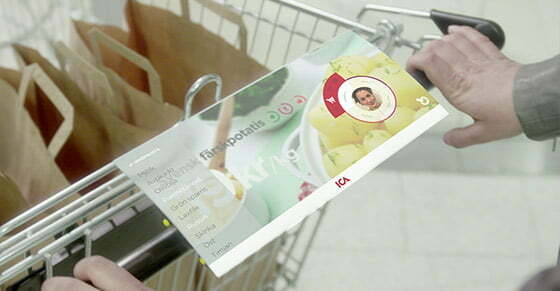 Access your shopping lists and personal information in-store. And receive personalised point of sale advertising. …and proactively help you and me when visit ICA stores. 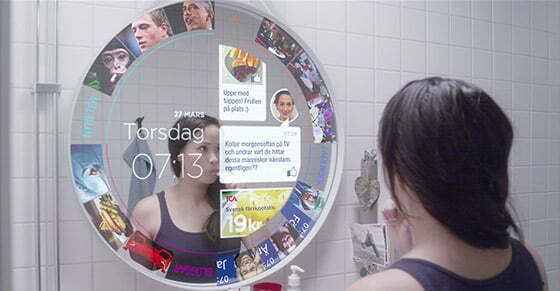 New technologies like Corning Glass enables updated information based on your personal needs. 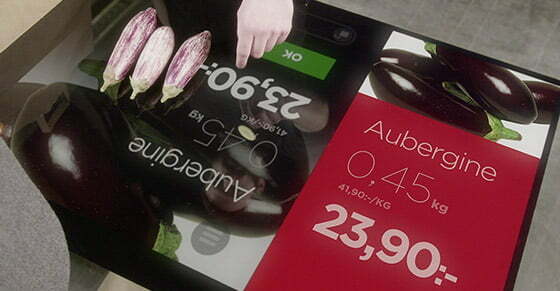 Visually stunning and more user friendly presentation when you check out of the store. A content strategy that supports new devices where people wants to connect with ICA. 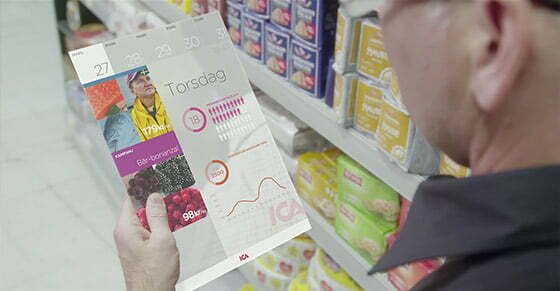 These are just some of the Interfaces we created for ICA in this project. Not all of them are official. Formulating a strategy based on future challenges, needs and opportunities. Now this is the goal with the entire prototyping process. We’ve looked at our history, we’ve looked at today and we’ve created a prototype of our future. Now it’s time to go back to today, have a look at the prototype and decide on a process that will lead us into the future. Roadmap into the future and prioritised projects. Based on the prototype we now formulate a strategy that will lead us into the future. For obvious reasons this is one part of the ICA project that I cannot go into. But the basic principle is to create a list of projects that needs to be implemented in order to move our communication and business development forward. The projects reach from organisational changes to technology choices and new ventures. Once the strategy and the projects have been defined we prioritise these projects based on how urgent they are for our business. Remember we’re looking 5 years into the future, this means that some projects can be defined in detail and others can’t or doesn’t have to be defined today. The more futuristic projects then become iterative innovation projects that we come back to in a year or two when we know more about the market. Creating action teams and assigning team leaders. Once we’ve decided on a road map we assign team leaders from the organisation and action teams consisting of both employees and consultants. It’s now time to deliver. Start implementing! Prototyping is all about looking into the future and provide a common ground to base your communication and business development on. It’s about innovation and also about creating a foundation for change. Organisations easily get stuck in history. This is good when the world around you doesn’t change much. Today however, technology is disrupting every brand and business in some way. On top of that things changes fast. Technology takes time to implement and 2 years in a tech landscape is a very long time. By looking ahead you’ll be prepared for whatever comes around the corner. 2. Prototyping makes it easier for an organisation to see the needs of change. The biggest challenge when you want to change a company or brand is to get people inside the organisation to see the needs for change. By visualising the future, not in a sci-fi way, but in a realistic way, you’ll be assured your organisation understands the future needs. People see the same things and you can truly use the creativity of your organisation by channelling their ideas towards a vision they all share. One of the most important parts of the ‘Today Phase’ is to listen to people within your organisation. Let em’ freely criticise how you’re doing things today. You’ll learn a lot from this. Then once you formulate your future strategy you’ll be able to respond to the feedback of your employees. Every company and brand have tons of resistance towards change. What’s fantastic with prototyping is that when you ask people for creative ideas on how to change and they answer “We’ve tried that before and it didn’t work” – you can always answer “Ok, but if we look five years ahead, is there technologies, organisational changes, new products that could change that”. Suddenly the ‘naysayers’ become advocates of change. 5. Prototyping becomes a statement towards media, partners, customers and more that you have to live up to. By doing what ICA did when they published their prototype you’re putting pressure on your own organisation. Suddenly you have stated your goals in the public. Now it’s time to live up to them. Athletes do this all the time. Companies on the other hand are often driven by managers who are more interested in keeping their jobs than sticking their nose out. State your goals in the open and start living up to them. It’s healthy for business. 6. The prototype is not always right. That’s good. The best way to actually have an idea about the future is to predict it, follow up, learn and predict it again. Think about it, most companies create strategies that are hidden in the dark, their own organisation doesn’t see or understand it and in the end no one learns from it. By involving your organisation and even customers in your innovation process you’ll be able to follow up and learn where you were right and where you were wrong. It the long run you’ll build innovation competence into your company. 7. Visualising strategies is fun. Writing them on paper is boring. Of course strategies should be put on paper…at least for the paper-munching machine. After all, how many people do read long long strategy documents. Hell, if you ask your employees to recite the three sentences in your company mission not 10% will know how to do it. People remember things better by seeing and hearing them. Prototyping is based on knowledge and ideas about the future. These things exist in the head of your organisation and the consultants you choose to involve in the prototyping process. To create the actual prototype is a very fast process compared to actually building a true product or service. This way you’ll be able to create things and expose both potential and risk without having to spend years and years on product development. Remember the car industry creates prototypes before deciding on product. You should too. People like the future. We all like taking part in creating ideas and visions. Use this and involve people. This way change becomes something people want to take part in. 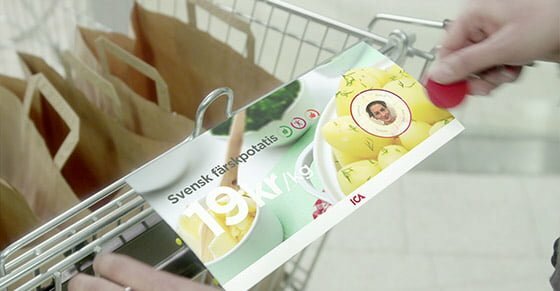 The ICA project was delivered by me (Strategy, Creative Direction, Art Direction, Copy & Design), Johan Ronnestam, together with Caroline Karlström (Strategy & Project Management) who often acts as my colleague in these kind of projects. Along the way we also had Daniel Stridsberg and a team from Britny helping us out in implementing the design. The hearing video was produced by FKDV and finally the prototype video was created together with Isak Sjöholm and his team at Isprod. Next articleGoogle exactly what you’re thinking! Inspiring as always! Were 10 – 15 on your list of “15 things” rejected, or what happened to them? Email address: [email protected] | IP address: 193.234.142.191 Reply to this email with “Delete”, “Approve”, or “Spam”, or moderate from the Disqus moderation panel. You’re receiving this message because you’re signed up to receive notifications about activity on threads authored by ronnestam. You can unsubscribe from emails about activity on threads authored by ronnestam by replying to this email with “unsubscribe” or reduce the rate with which these emails are sent by adjusting your notification settings.